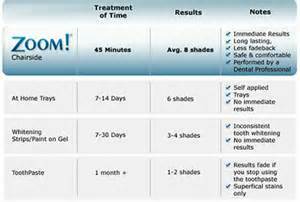 Your lifestyle and the aging process can stain and darken your teeth. Many things we do on a regular basis can contribute to stained teeth, such as drinking coffee, tea, cola and red wine or smoking. 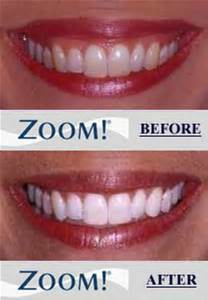 If you want immediate results with longer lasting effects, Zoom! is a great choice.